I have a lot of silly rules that I obey I don't know know how I came up with them. Some people, like my girls think I am crazy. I probably am, but I just can't help myself. I can't bring myself to break these, and if you do there is a good chance I will be secretly judging you. Don't wear PJ's in public. I actually don't think this one is silly, but the number of people that you see out shopping in fleece pj's makes me think I am the only person that thinks you need to put pants on before you go out in public. 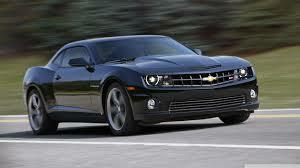 A camaro should only be in black. It makes it look mean. No wire hangers. I absolutely despise wire hangers they are ugly, they bend, they are ugly. Hangers should face the same way and be the same color. It just looks nicer and makes me want to smile when I open my closet. I had a rule for years never to date a drummer. The ones that were in my high school band were snotty and full of themselves. The times I broke this rule I regretted it. So now I am back to never dating a drummer. Never date anyone who has seen you go through puberty. Those were some crazy times. Thankfully I feel like I can relax this one a little since it has been so long ago. Never date an ex twice, because there is always a reason why you broke up. I am guilty of breaking this one, with only 1 person. I broke up with him because I am an idiot. It was great and I got scared and left, because its was good and I didn't know how to cope. Just a little hint. You'll be hearing more about this one. Do you have any crazy rules that you live by? You mean you aren't intimidated by those banana yellow Camaros? My only rule is no Crocs. Somehow those are even worse than socks and sandals. Just barely. I agree on all your hanger rules. And pjs in public! I don't even wear yoga pants in public, I'll change into jeans even to run to the corner store. How did I forget Croc's? They are a big no as well. I especially hate the yellow camaros when people put the transformer decals on it. Wire hangers are the worst! I'm guilty of breaking the PJs in public rule, but only on midnight Walmart or coffee runs. No one cares about rules anymore at 1am! I can't wear pajamas in public either. I just feel weird. I hate pjs in public. And I totally agree about dating drummers and exes. Both are very bad ideas.